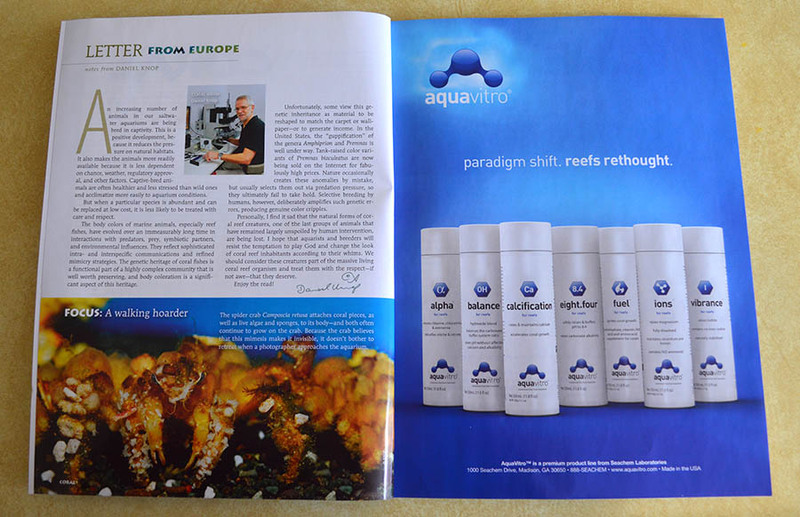 Daniel Knop’s letter from Europe. 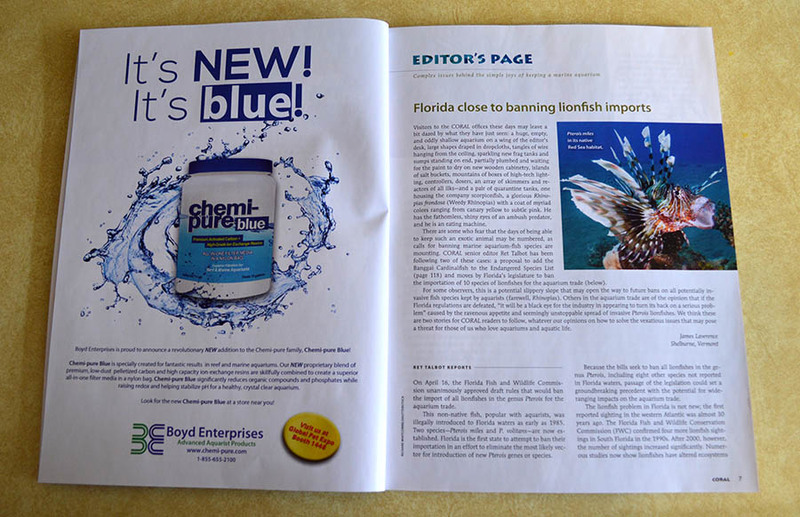 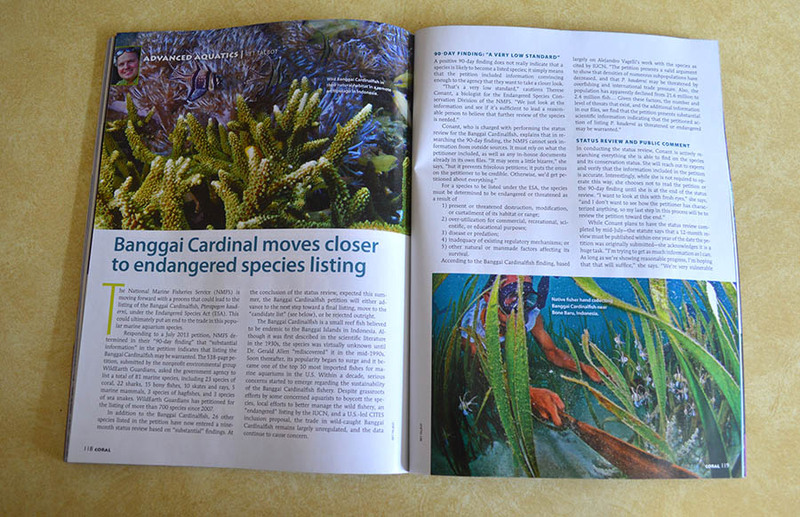 On Lionfish Bans in Florida – This issue’s Editor’s Page features expanded coverage of this timely issue. 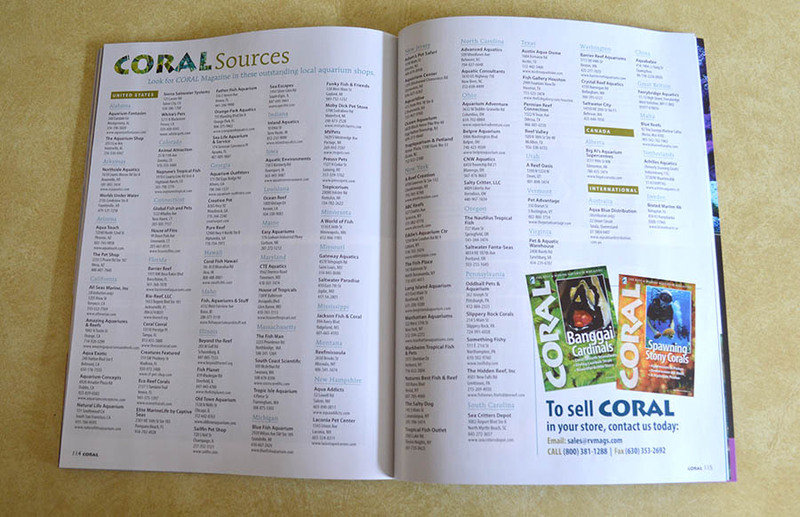 Our Rarities column features fish and coral highlights from industry professionals. 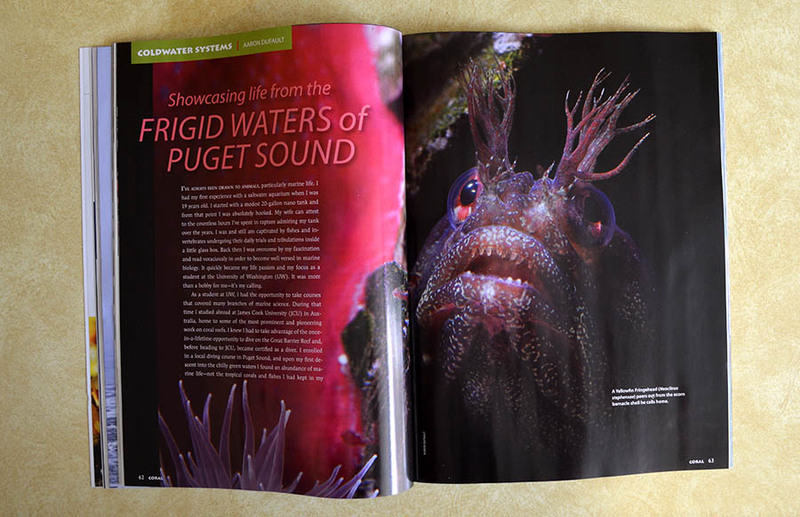 Dr. Ron Shimek kicks off our feature topic with a breathtaking look at the husbandry and species coldwater anemones of the Pacific Northwest. 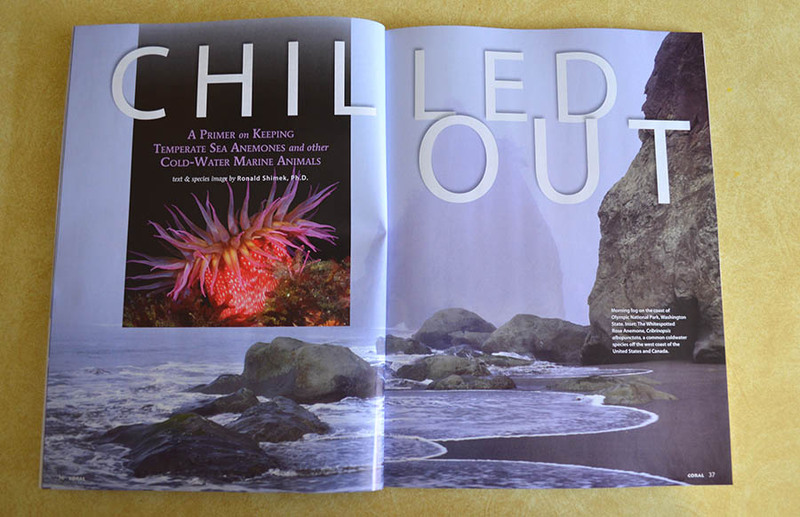 Anemone lovers, prepare to be wowed. 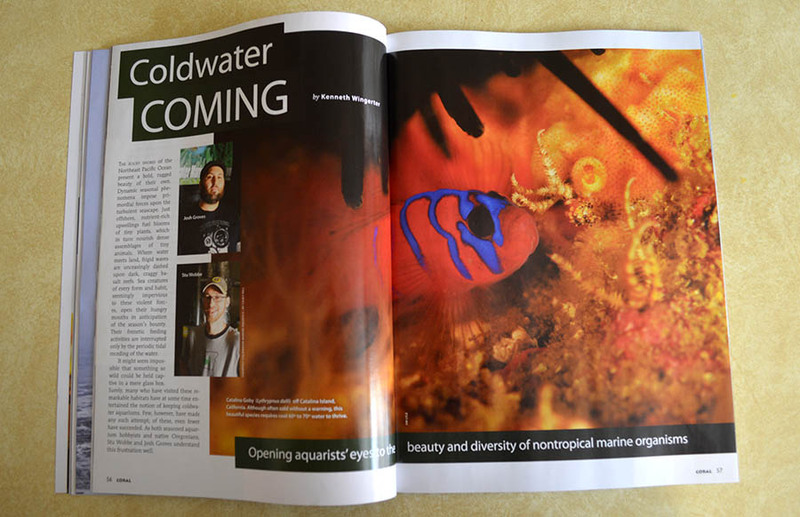 Kenneth Wingerter introduces us to Coldwater Marine Aquatics – a west coast business dead set on eliminating the excuse that no one keeps coldwater because no one sells coldwater. 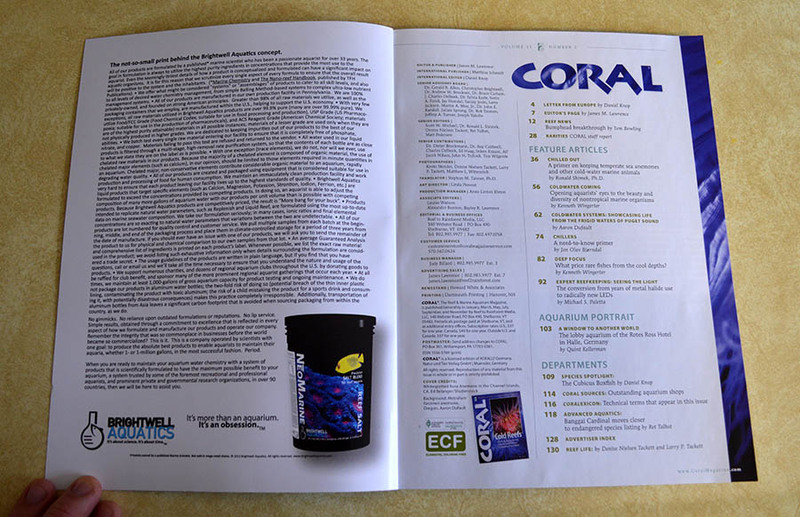 Are you bored with endless fields of Acropora? 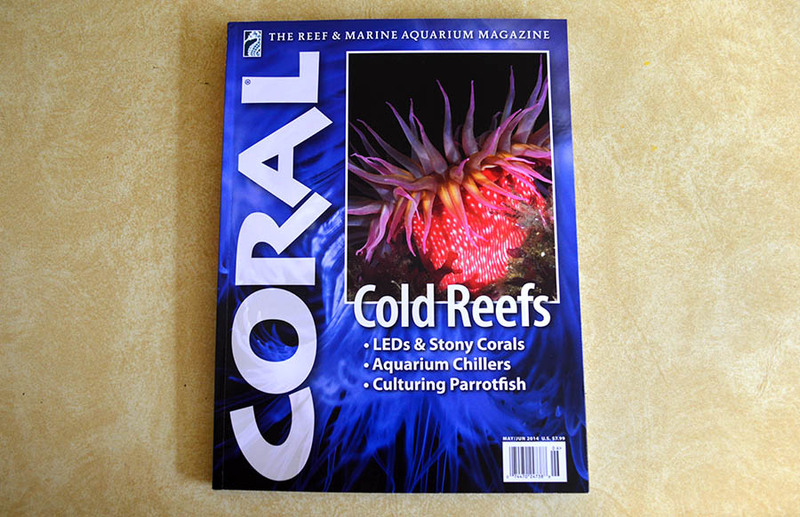 Aaron Dufault treats us to a look at his 65 gallon coldwater reef aquarium, proving there’s more to saltwater than everything you’re used to seeing. 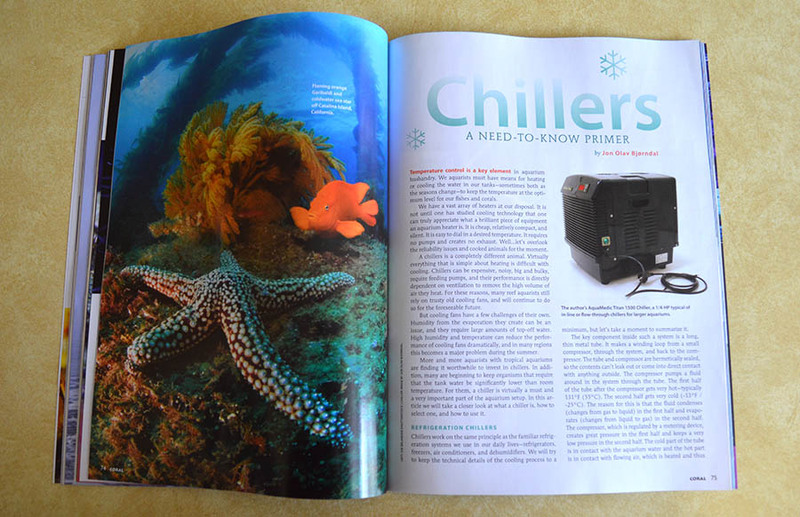 Jon Olav Bjorndal brings Coral Magazine readers an essential look at chillers, just in time for summer! 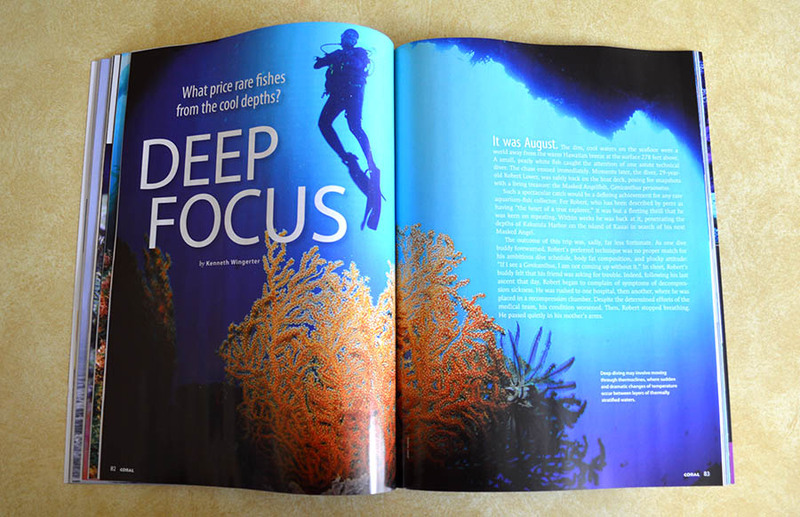 Many of the rare, deep-water fish that tropical reef keepers lust over actually perfer things on the cool side. 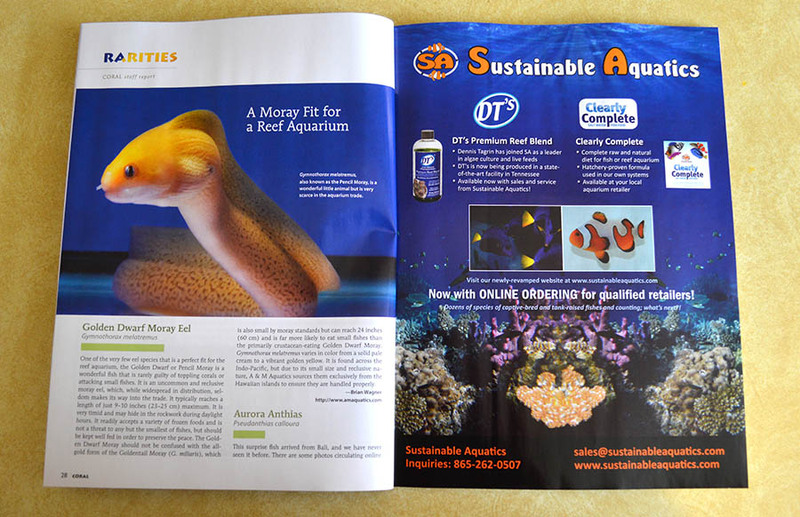 Kenneth Wingerter looks at the “tropical” fish that might really appreciate a chiller on their tanks. 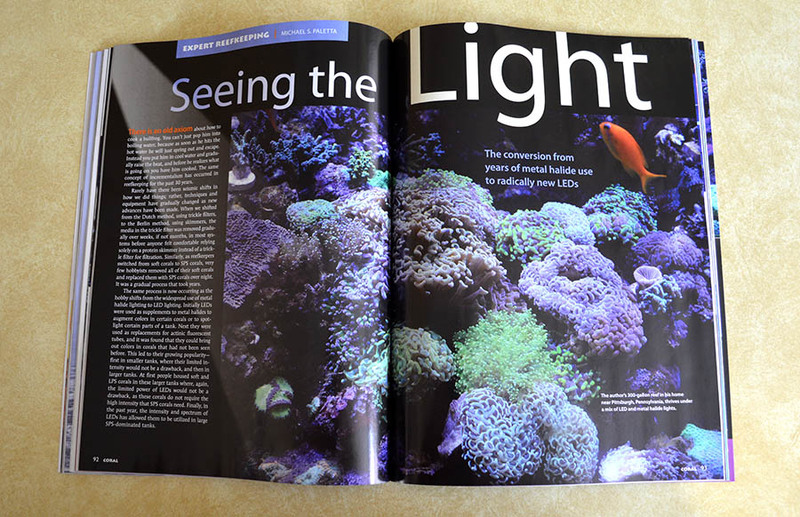 Quint Kellerman, an American with ties to the temperate tidepools of the Pacific Northwest, brings us an aquarium portrait featuring a stunning tropical reef aquarium at the Rotes Ross (Red Horse) Hotel in Halle, Germany. 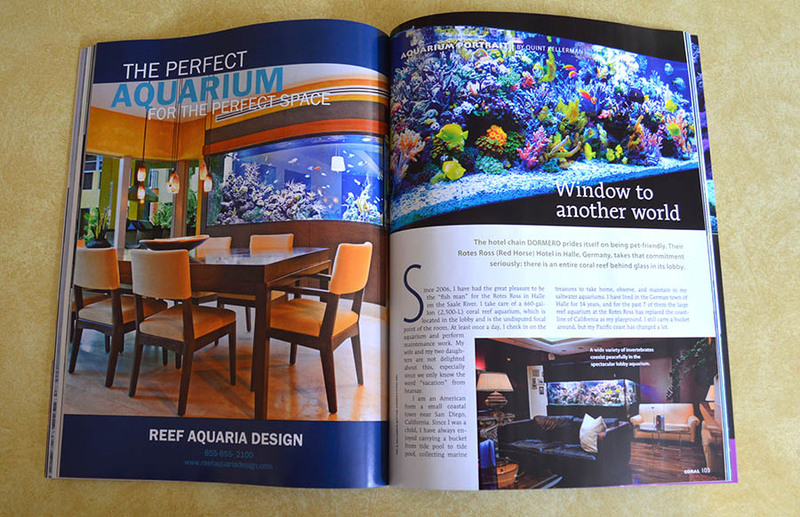 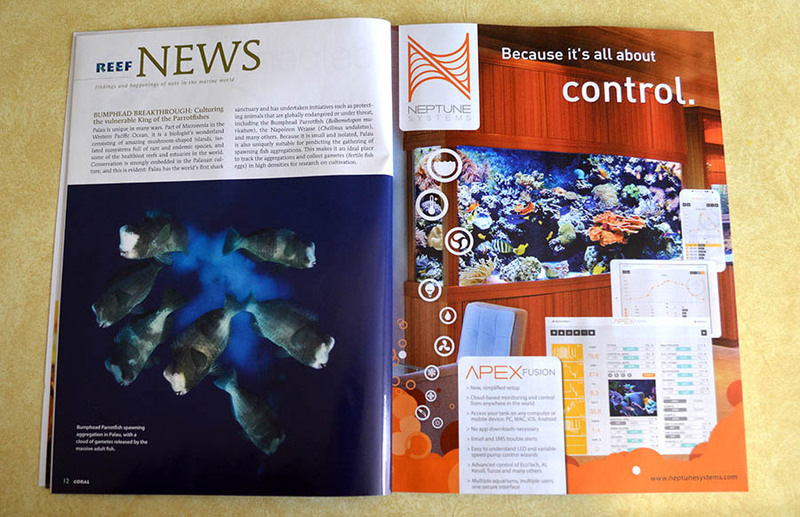 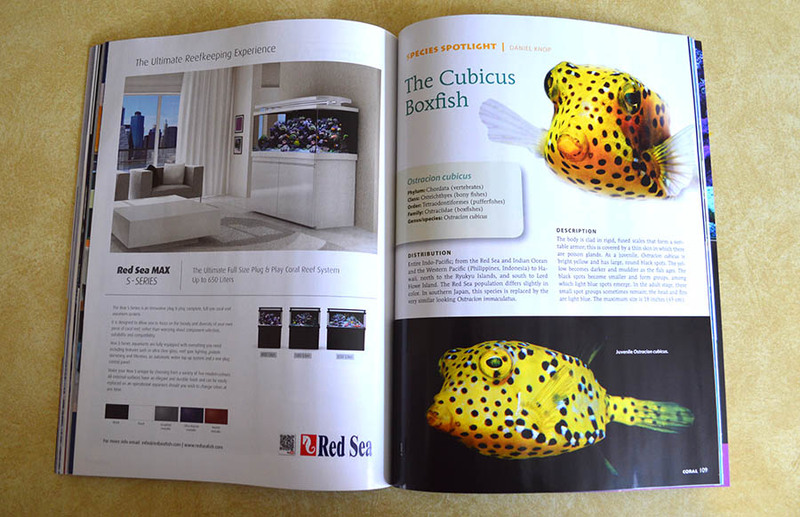 Coral Magazine editor Daniel Knop examines the Cubicus Boxfish – turn to the next page in this article and have your jaw dropped.